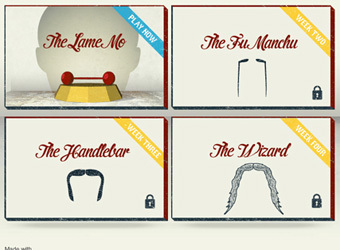 To celebrate and promote the month of ‘Movember‘ digital agency Mark Sydney and Google Australia have partnered to launch a series of moustache-themed games to help promote the charity and its quest to raise money for men’s health issues. 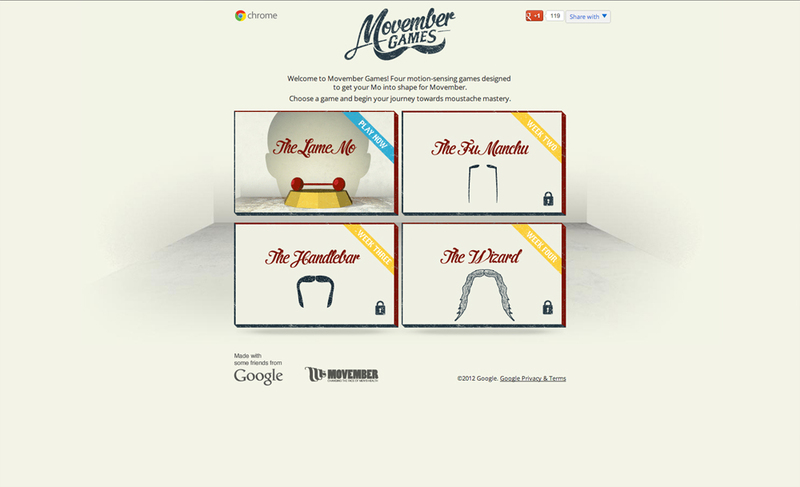 ‘Movember Games‘ is a Google Chrome web app that keeps participants motivated during the month of Movember with a collection of four face-tracking games set to roll out each week of the event. 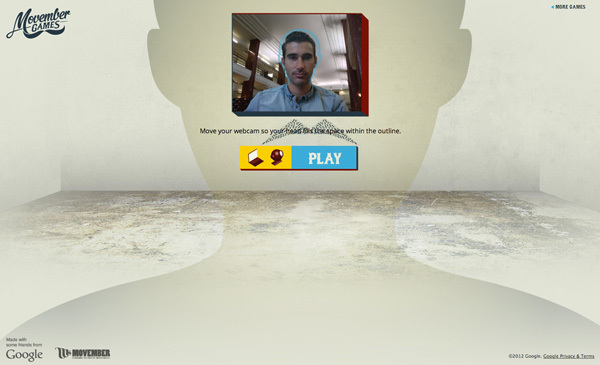 The project is a collaboration between M&C Saatchi’s digital agency Mark and digital production arm, MAKE. Two of the series’ games are now live letting users augment fledgling moustaches by positioning a mo on their lip using a webcam and dodge flying objects by ducking and weaving their mos out of the way. The campaign is supported by online and outdoor, and a 30-second TVC.